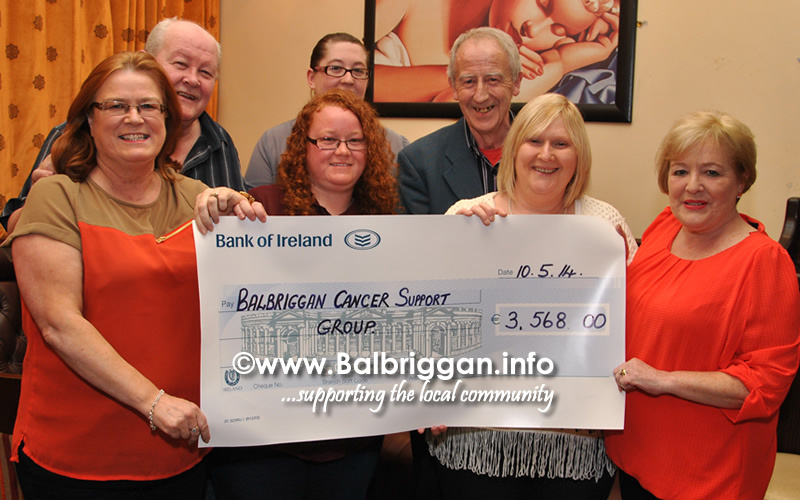 The Harvest in Balbriggan presented a cheque to Balbriggan Cancer Support Group for €3,568 from last years Halloween Fancy Dress party. The Halloween Fancy dress party is growing year by year and these funds will go along way towardsd the great work that the Balbriggan Cancer Supoort Group do. A BIG thank you to everyone who supported this event.